Retirement planning involves a lot of goals and milestones. How much wealth should someone have stashed away given their income or age? There are various rules of thumb (for example, people can assume they need only 70% of their working income upon retirement), but some clients need a more tailored approach. A case in point: farmers. Compared to most people, a farmer gets the majority (if not all) of his income from illiquid assets like farmland and machinery, according to the Western Producer. If that person wants to rely on those for retirement income, it should be planned for. 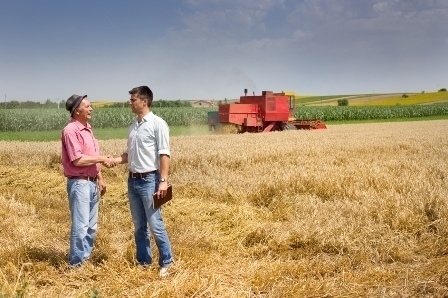 Who’ll keep the farm running — will it stay in the family or go to a trusted partner? And how much retirement income can the farm pay the retiree without hurting its operation? Depending on its size, a farm could also generate a lot of income or revenue. If it’s enough to cover all of the necessary expenses and much more, the farmer has to decide what to do with the excess. On the expense side, retired farmers will likely face the same challenges as other retirees. Basic expenses such as food will likely take a bigger slice of the budget pie. Lifestyle costs may go down, but months-long travel or holiday plans will of course take those up. It’s also possible that one spouse will have to stay at a long-term care facility. Long-term care can cost anywhere from $2,000 to $7,000 a month. Drugs and other medical items not covered by Medicare should also be taken into account. Taxes on retirement funds should also be considered. “If [a client] saved for retirement only using Registered Retirement Savings Plan (RRSP), [that person] will need a larger account balance, as every dollar [redeemed] from an RRSP is fully taxable while funds withdrawn from a tax-free savings account (TFSA) are free of tax,” said Clay Gillespie, financial advisor and managing director of Rogers Group Financial in Vancouver, in a piece for the Globe and Mail. Another question is how many years past retirement people should plan for. “Most people assume that life expectancy is the same as lifespan,” said Gillespie. “This is not correct. Instead, life expectancy is a median number of years — such that 50 percent of a particular age group will die before this number of years, and the other 50 percent will die after this period.” To account for this, Gillespie suggested that retirement plans follow a target of 95 years. A recent study by the Imperial College London and the World Health Organization (WHO) reported that human life expectancies may get longer by 2030. Published in the Lancet, the study covered 35 industrialized countries. It projected a life expectancy of 87.6 years for Canadian men and 92.5 years for Canadian women. Are you willing to bet on your investing skills?